Discover the UNESCO village of Zaanse Schans, from the mid-19th century due to the industrial revolution the Zaan region experienced a major financial boost. To preserve traditions the Zaanse Schans was created as an open-air museum where you can enjoy authentic farmsteads, paths, wooden houses, warehouses, and windmills. 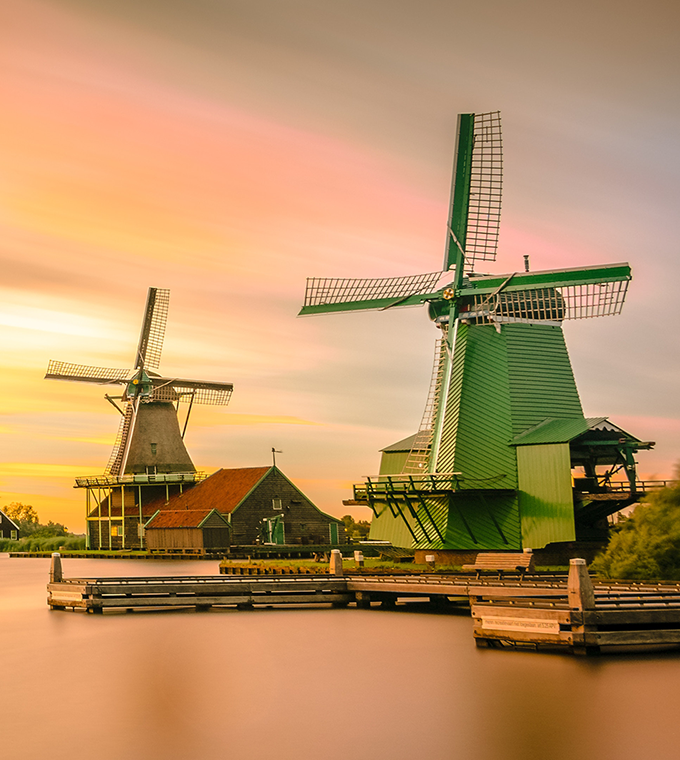 A highlight is the wooden shoe making demonstration or an optional visit to a working windmill. All this Dutch beauty you will learn about with a professional local guide. Our tour will last from start to finish approximately 4 hours and you will have ample free time to discover and learn by yourself or taste some typical Dutch delights. Board our air-conditioned coach or mini-van from our centrally located meeting point in Amsterdam and make your way to the UNESCO Zaanse Schans, our local guide will talk about the Zaanse Schans and live in the Netherlands. - The guide will explain you all about "Poldering" and Dutch water management. - You will have about 2 hours of free time at the Zaanse Schans at your disposal. Meet your local guide for your return to Amsterdam via the typical Dutch countryside. A great day of history and "Typical Dutch". Make your reservation online and don´t miss out the Zaanse Schans!